ANTI-SEMITE GÜNTER ‘GRASS’ FINALLY PLOUGHED UNDER IT……. – The Tundra Tabloids……. ANTI-SEMITE GÜNTER ‘GRASS’ FINALLY PLOUGHED UNDER IT……. That’s a fitting epitaph for this disgusting creature. He waited another seven years to explain that he had been a full-fledged Nazi. After lecturing people for decades about how Nazism could only have been prevented by the death of capitalism and nationalism, it turns out that the great human rights activist had fought alongside the most brutal elements of the Nazi regime. 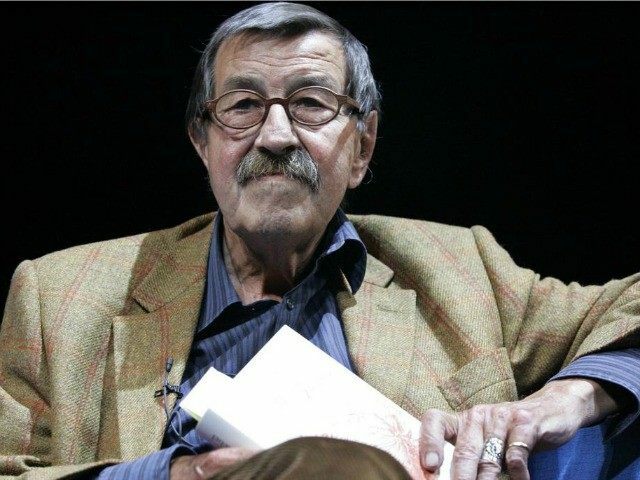 On Monday, German novelist, Nobel Prize winner, and former Waffen-SS Nazi, Günter Grass died in Lubeck, Germany, at the age of 87. The press mourned his passing. Why, Grass wrote, did he stay silent? For fear of being slandered with “the verdict of ‘anti-Semitism’” for saying that “the nuclear power of Israel endangers / The already fragile world peace.” Ah, those nettlesome Jews. If only someone had tried to do something about their aggression, say 70 years beforehand. Oh, wait. Previous Post Previous Post RACE BAIT HUCKSTER AL-SHARPTON: WILL FAST UNTIL YOU CONFIRM LORETTA LYNCH……. Next Post Next Post SPANISH LANGUAGE NEWS ANCHOR LECTURES US ON IMMIGRATION LAWS WHILE MEXICAN LAWS ARE FAR MORE RESTRICTIVE…….